Galloway Petfoods now stocks a range of quality horse products including nutrition and equine health products, grooming products, insect repellents and treats. 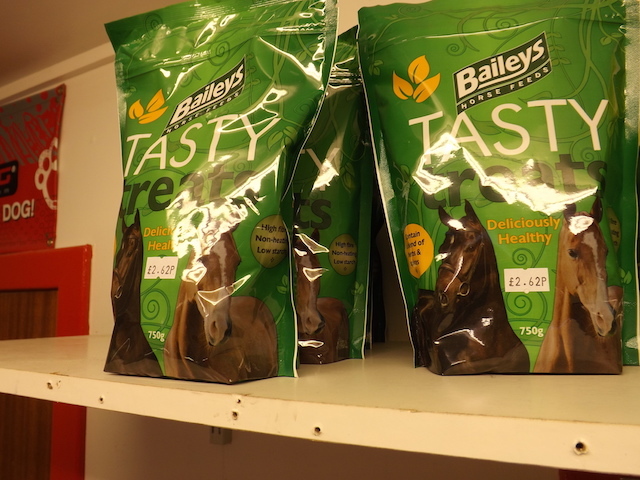 Baileys Tasty Treats: These crunchy bite-sized treats are full of fibre and low in starch and sugars and contain a natural blend of essential oils extracted from herbs and spices.Tasty Treats do not contain any vitamins or minerals, so they won’t affect your horse or pony's nutritional balance. Equimins Stockholm Tar: A good old-fashioned remedy for hoof care, this thick pine tar is a traditional, natural antibacterial dressing to help maintain a healthy hoof. 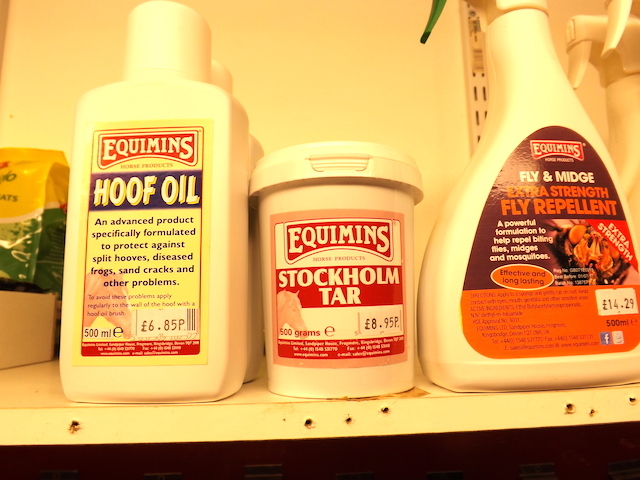 Equimins Hoof Oil: A specially formulated product to protect against split hooves, sand cracks and other problems. Equimins Extra Strength Fly and Midge Repellent: This product combines three active ingredients, two of which are herbal extracts, that have demonstrated excellent insect repellent properties. Carr and Day and Martin Mane & Tail Conditioner: A powerful detangler, this long-lasting conditioner makes grooming quick and easy and reduces hair breakage while leaving an immaculate, oil-free shine. 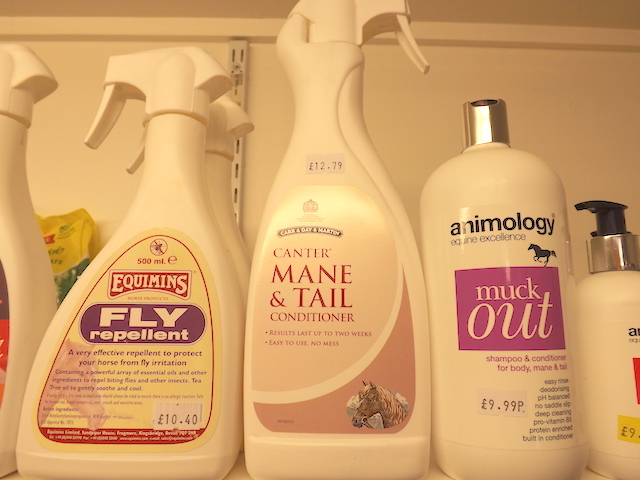 animology Muck Out: This quality shampoo, for all breeds, sizes and colours of horse, blends silk and wheat proteins with vitamins and conditioners to help deliver exceptional levels of care and protection to the skin and hair, including the mane and tail. 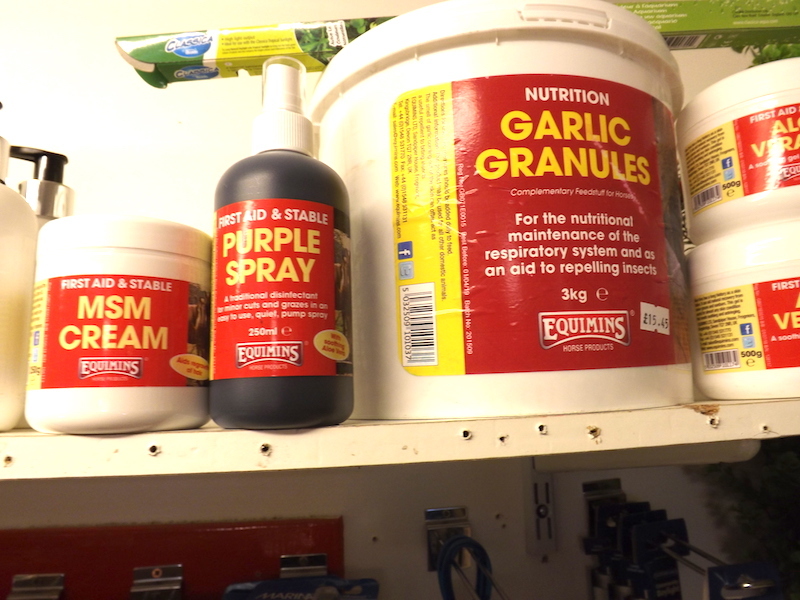 Equimins Garlic Granules: Used traditionally for digestive and respiratory systems, essential oils of garlic can assist the nutritional support of the respiratory system. The smell of garlic coming out through the skin can also act as a useful repellent to biting insects. 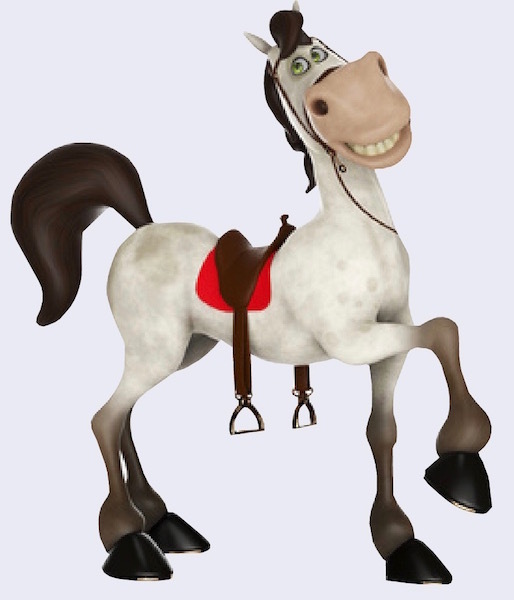 Call in and see us our range of equestrian products or, for more information, call us on 01671 402120.